Ahh man, I do not even know where to begin. 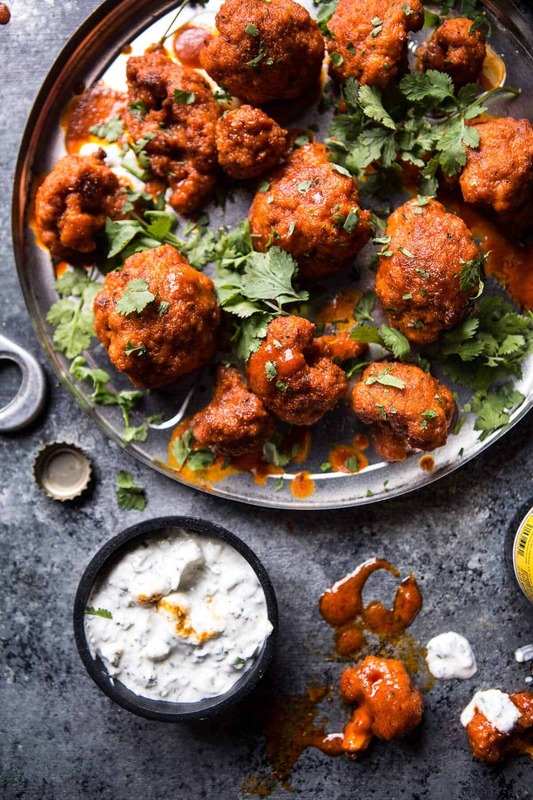 The excitement for these little bites… well if you’ve been reading the blog for any amount of time then you know that my family loves buffalo sauce. The brothers love buffalo chicken, but my dad just really loves the sauce, he could take or leave the chicken. I’m right there with him, I love the sauce, but definitely can forgo the chicken. My speciality for years has been buffalo chicken pizza… minus the chicken. Instead of chicken, I use broccoli. Yes, the boys are disgusted, and in years past I would make them their own separate pizza… with chicken. I don’t do that any more for many reasons, mainly because I’m busy, but also because I’ve started to care less about whether the boys are served food they will actually eat (they’re not in preschool!). You could say I’ve become totally mean, but I think it’s actually just the opposite, I think I’ve actually lightened up over the years… but that’s a story for another day. SIDE NOTE: I have been sitting in my desk chair all day long and I am at the point where the fidgeting is so bad that I literally just fell out of my chair. Sad but true. DOUBLE SIDE NOTE: I am so ready to jump up and down and basically do anything other than FOCUS that I just sent ten seriously annoying snaps (aka snapchats…you should follow @hbharvest for all the behind the scenes) to my brother. UGH. Help me. Also, he probably hates me right about now because he is at school and I sent him about five snaps of cookies/cookie dough…his fav. Ok, maybe I have gotten meaner. So anyway, it was only a matter of time before I took cauliflower and covered it in spicy sauce. 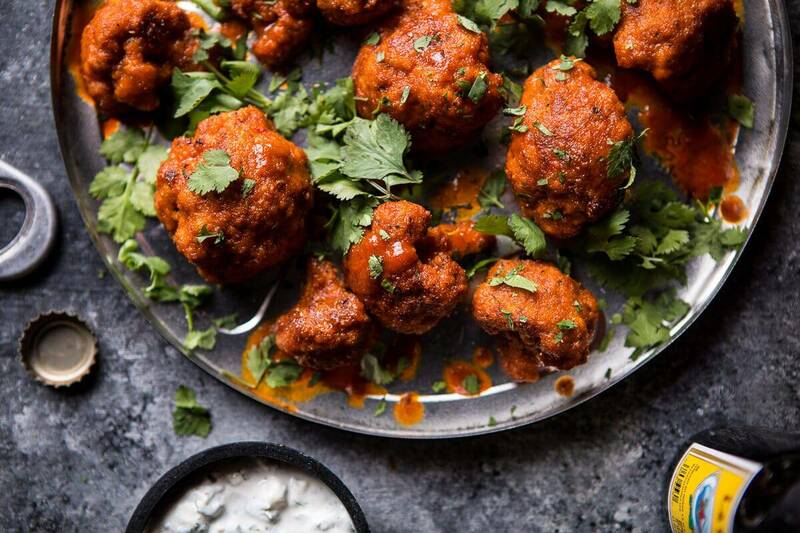 I actually sort of did it last year for this buffalo pizza, but these sriracha buffalo cauliflower bites, they’re the real deal. First the cauliflower gets rolled in a little breading, then it’s off to the oven to be baked to perfection. Once they’ve finished baking they get covered in the BEST sriracha buffalo sauce. Honestly, you will not even realize you are eating cauliflower. All you will realize is that it’s so dang good. I think these bites may be one of my dad’s favorites. He and I both loved them, especially when dipped in that blue cheese sauce (YUM, and it’s made healthier with greek yogurt!). There really are no words. Well, no words other than SO DANG GOOD. Okay, so here’s the deal. I did bread the cauliflower bites before roasting them, mostly because I really wanted all that yummy sauce to adhere, but I was also really trying to mimic traditional buffalo chicken bites. Personally, I think the breading is delicious, and totally a must, BUT if you want something a little lighter, you can always ditch it. Just roast the cauliflower and then toss in the buffalo sauce. Personally, I would serve them as a side, because this way they’re really just spicy roasted cauliflower, but whatever works for you! For me, its breading all the way! Now lets talk about the sriracha buffalo sauce. I usually don’t mess with my beloved buffalo sauce recipe, BUT I was feeling the need to switch things up, and sriracha has become a go-to for me. SO, sriracha buffalo sauce it was, and guys, man I am so incredibly happy I went out of my comfort zone. This sauce is KILLER. It’s kind of a mix between Asian and American, but it still has the buffalo flavors you love. That doesn’t really make sense… just know that it’s good! I highly recommend doubling the recipe for the sauce. I mean, you can never, ever, have too much sauce. All the sauce please!!! And that’s pretty much how it all goes. My internet friends, welcome to the world of buffalo chicken… minus the actual chicken. Such a delicious world to be apart of!! Preheat the oven to 400 degrees F. Line a large cookie sheet with cooking parchment paper. 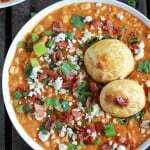 Add the beaten eggs to a bowl. In another separate bowl combine the bread crumbs, parmesan, paprika, salt and pepper. Dip each cauliflower floret though the egg and then dredge though the bread crumbs, making sure to cover the cauliflower completely in the bread crumbs. Place on the prepared baking sheet and repeat with the remaining cauliflower. Bake for 25 minutes, turning the cauliflower halfway through cooking. Meanwhile, whisk together the sriracha, hot sauce, butter and soy sauce (or fish sauce) until smooth. Once the cauliflower are done roasting, gently toss with the sriracha buffalo sauce and then return each piece to the baking sheet. Place back in the oven to warm through, about 5 minutes. Transfer to a serving plate and garnish with fresh cilantro or parsley. Serve with the greek yogurt blue cheese sauce (recipe below). In a bowl, mix together the yogurt, blue cheese, lemon juice, garlic powder, salt and pepper. Taste and adjust salt + pepper to your liking. Keep stored in the fridge until ready to use. Will keep for 1 week. If you need me, DON’T. 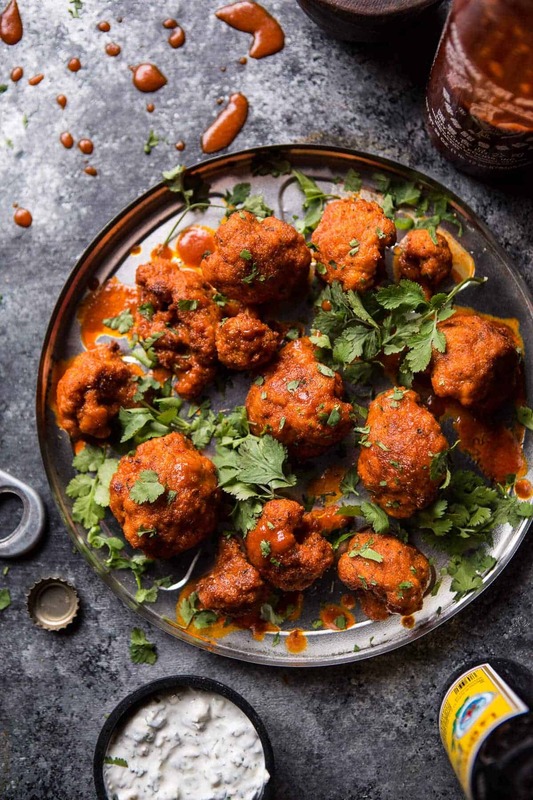 Me and these sriracha buffalo cauliflower bites have a lunch date. YES. P.S. Asher found me the cutest dog in the paper today, he is a seven-year old husky malamute mix, and oh my gosh, I want him. Someone please leave me comments talking me OUT of getting a dog… or maybe talking me into one?? Help. the greek yogurt blue cheese sauce sounds amazing- smeared on sandwiches, used as a dip for chips/veggies, dolloped on everything! and have you seen the mini sriracha keychains? i see so many people with portable sriracha attached to their backpacks/purses and it makes me laugh at how addicted everyone is lol. These sound delicious, I really like the look of this, I’m always looking for new ways with cauliflower. These look really really good, would never have thought of cooking cauliflower like this!! 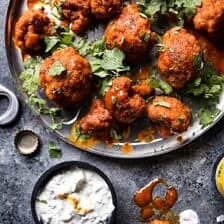 Cauliflower, Buffalo sauce and dip, hmmm, that sounds tastier than tasty~!! Now, I am hungry and it is early a.m. I feel like my excitement for these little bites equals yours! These sound SO GOOD! I have to be honest. 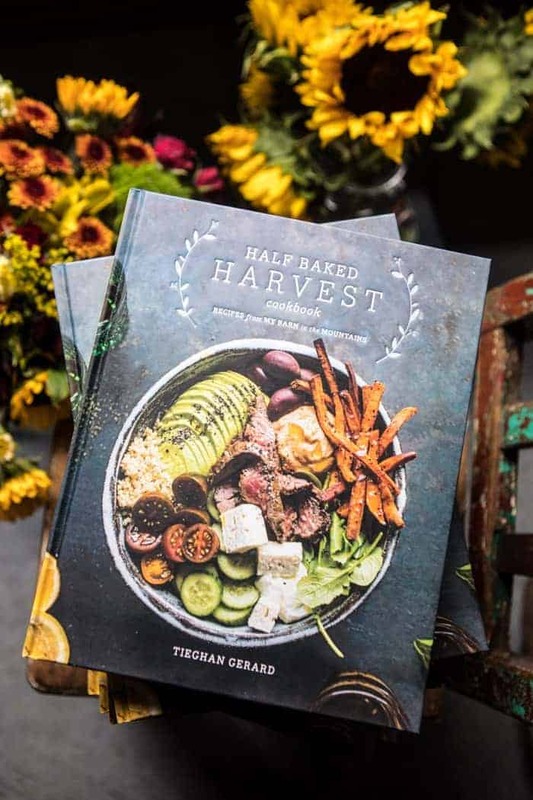 I’m not a cauliflower fan but Tieghan…….darn it……..this looks so good I may just have to throw the towel in and try doing the sriracha dance with this veggie. 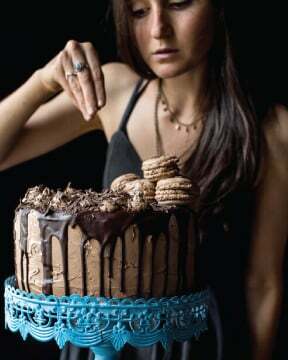 I so didn’t mean that to be snarky; I’ll be making this on Sunday! But seriously, Tieghan, that seems like a lot of stiracha. haha, no worries. It is 1/2 cup sriracha. Sorry for the miss spelling. Thanks! These look amazing! We’re about to be snowed in with the biggest Midwestern snowstorm of the year, and I have everything I need to make these, so I think I know what I’ll be doing today! Forget football … my attention is going to be on THESE. Total flavor bomb! 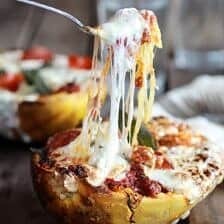 These look amazing and are absolutely happening in my kitchen this week. Cannot wait! !! Love this idea to dress up cauliflower. I’m sure they just soak up all the sauce and explode with flavor! Thanks Mary! Hope you are having a great week! You say double the recipe. I’m thinkin triple. ‘Cause Sriracha. And yes, all breading all the time. I’m with ya on that one! The more I see, the more I love Cauliflower. I am all for the sriracha + buffalo – chicken sub cauliflower! These bites look incredibly delicious! I seriously want to eat my computer screen. Well, kinda. You know what I mean – GIMME these! As far as the dog, I have a husky amd I love her, don’t get me wrong, but she really is like a wolf!! They are HARD To train. Mine likes to eat the walls. True story. 😉 cheers! UGh. to get a dog or not?!?! As much as I want one, I am thinking now is just not the time! 1. You’ve talked for awhile about getting a dog so you seem to want one badly but will you have the time to give this dog the attention it needs with all the other critters you have and dogs are very expensive can your budget handle the addition. 2. You have mentioned that you need time to get out and maybe meet someone. I don’t know about the dog But I’m sure I like cauliflower bites. yes! I’m a little embarrassed to be as obsessed with cauliflower as I am. these buffalo bites look delicious! I saw the picture and I thought they were buffalo chicken nuggets. I got way too excited when I realized that they were cauliflower bites. So much better! You had me at Sriracha, of course! 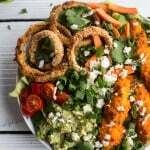 Love that this is super spicy and has that buffalo kick that’s perfect for any time of the day! Thanks Cassie! Hope you had a great day! We can never have too much sriracha. This look simply amazing. 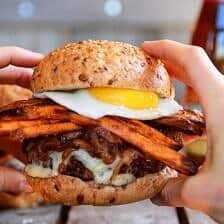 I really want to make this recipe for a Superbowl party tomorrow! Do you think I can make it ahead of time, and just reheat there? Or should I save the baked bites overnight, and toss them in the sauce and bake while at the party? Thanks again for the amazing recipe! Yes, making these ahead and then reheating works great! Hope you love these!! You can toss in the sauce and all then just reheat. Making these now and I realized I don’t have any plain greek yogurt for the dip. Do you think I could substitute sour cream? HI! Yes, sour cream will be great! These look fabulous…and as for the dog, if you can give him a home then do it – he will bring you SO much joy. Don’t get a dog unless your willing to commit to it for 16 years… given that’s how it lives.. Also make sure you can exercise them AND don’t move to somewhere you can’t have them!! Must keep up on heartworm and flea meds!! I work dog rescue.. these are the typical excuses I hear from people… A dog is a commitment not a novelty..Take time 30 mins everyday to train you pet as well so they know what YOU want!! It’s your job to show them! 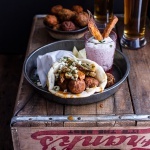 Can’t wait to make these – they sound delicious! 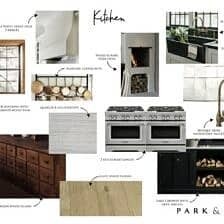 I love your recipes, and I rarely print off any recipe, except for yours. We have the same taste(buds). This recipe looked amazing. I tried to make them and my bread crumbs would not stick. Followed the recipe exactly. Flavors where delicious. But they did not look as wonderful as yours. Sorry you couldn’t get them to stick!! But im glad they were good!! Just made this tonight! It was delicious! I used spicy preseasoned bread crumbs, other than that I followed the recipe. Thanks for sharing! Oh sorry about that! Fixing this now, thanks! This looks absolutely perfect! If I wanted to make chicken wings with this recipe, would I be able to just use the recipe from your “Sweet and Sour Sticky Thai Boneless Oven Baked Chicken Wings” recipe and substitute the sauce for this one and then just toss them in it? I just made these cooked them on aluminum foil in the BBQ to hot in the house…delicious! Hi Vikki!! Son happy they were good!! Thanks for making!! I’m so glad you included an eggless option in there. These look so delicious, I was upset I would have to miss out on them. I recently tried a baked orange cauliflower recipe and it was a disaster. I realized I don’t like sweet cauliflower. These look Spicy and nice. Definitely trying them out soon. Thats awesome! I hope you enjoy these!! Thank you so much for this recipe! 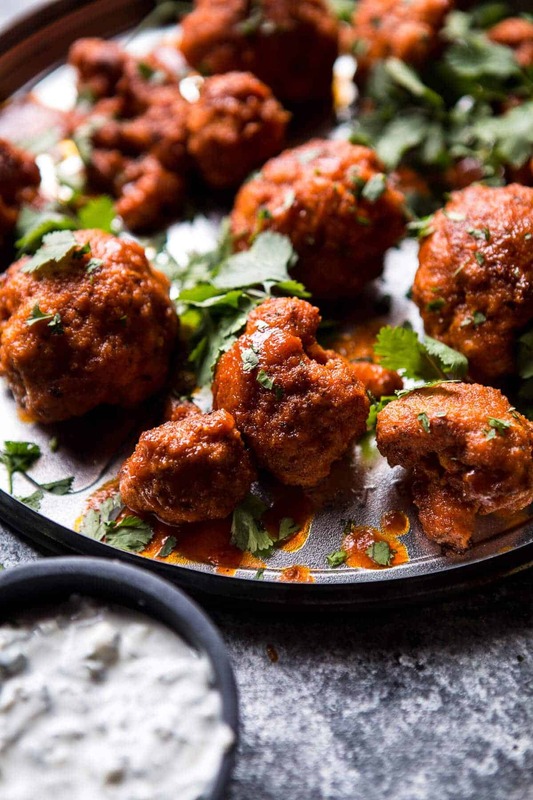 I was a bit skeptical that they would actually taste like buffalo wings (but I figured I’d be down with spicy cauliflower) but they totally did! Even my very picky eater of a sister and carnivore boyfriend gave them the stamp of approval – definitely thinking these would make a good Super Bowl snack! Thanks so much for making them Olivia! Hi! What about just a homemade ranch or just omit the blue cheese and try using feta? Is that 3/4 cup beaten eggs? I’m excited to make this recipe but don’t want my measurements to be off! HI! 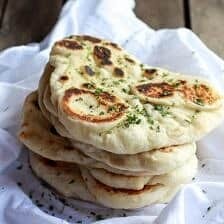 Where the cauliflower bites wet when you where dipping them? It is important to really get them submerge in liquid before rolling in the panko. Let me know if you have other questions! Hi anna! 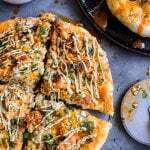 Try using 1/2 cup of almond milk in place of the eggs and 1/4 cup nutritional yeast in place of the parmesan. Please let me know if you have any other questions. I hope you love this recipe. Thank you! I know this post was from 2016 and its now 2019 but I think you should get the dog!! Love these and all of your recipes!! Haha we did get a dog and he is so cute! I am so glad you like this recipe, Mary! These buffalo bites are AWESOME! 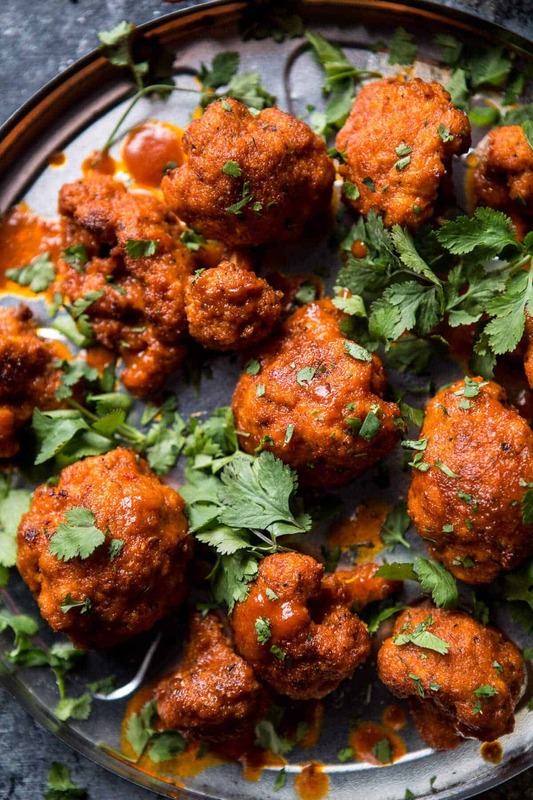 I love all of your buffalo cauli recipes. Nom nom nom! These buffalo bites are AWESOME! 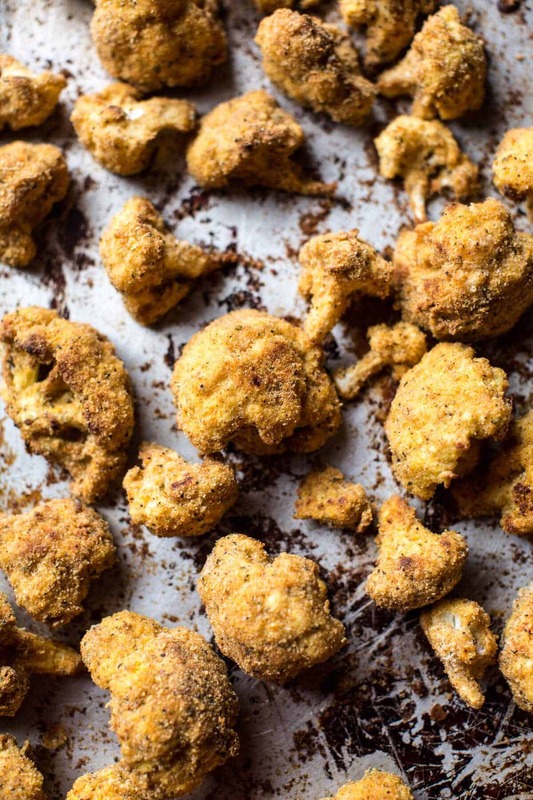 I love all of your panko cauli recipes. Nom nom nom! This. Is. So. Great. Easy AF and straight up delicious. I heated up some naan, spread some of the blue cheese mix on that bad boy and put a ton of this spicy af cauliflows on there and HOT DAMN. This is amazing. Make it. Eat it. Do it again. So good. So easy. The ONLY thing I tried was the buffalo sauce and substituted diary butter, for vegan butter, and liquid aminos instead of soy sauce. *I did not try any other parts of this recipe* I just gotta say it was ABSOLUTELY DELICIOUS sauce. Such a hit. I will make over and over.